Egads! 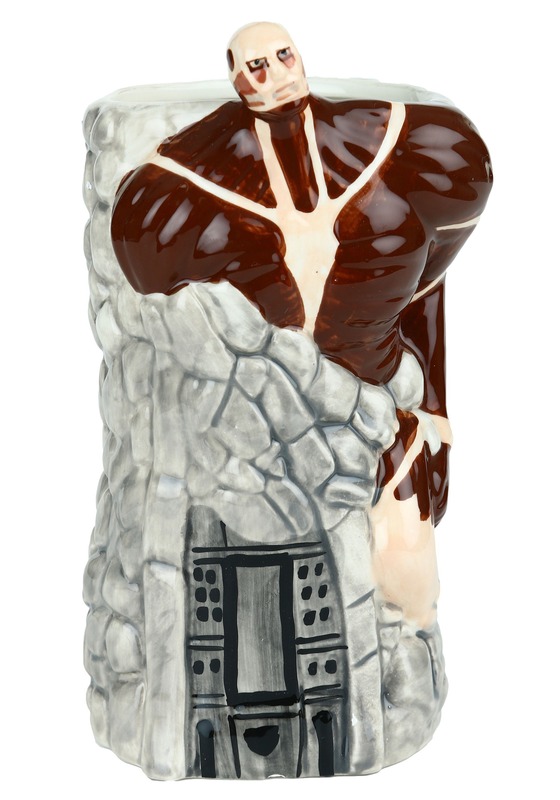 This Attack on Titan Ceramic Stein IS UNDER ATTACK! Run for your lives. Call the police! Call Levi Ackerman! Call your mommy! Wait a second. 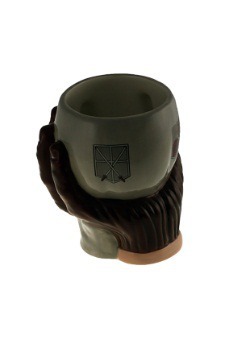 That's just a part of the mug's design. For a second there, we thought that the Colossal Titan was really smashing through this stein to attack us. It just has the manga character molded into the side, you can relax. 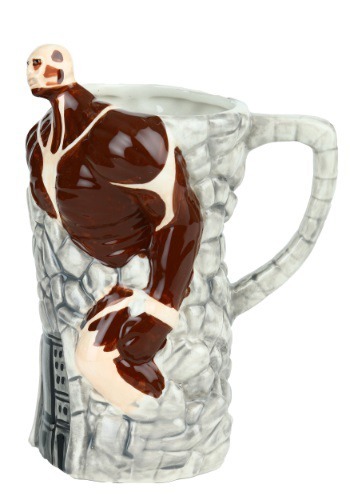 But just imagine the shock in your friends' and coworkers' eyes as you drink your coffee out of this. Standard - $6.99 Only 1 left!